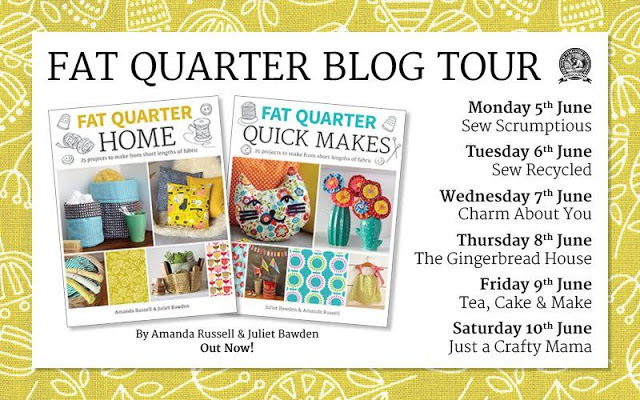 I am really excited to be part of the blog tour for Fat Quarter: Home and Fat Quarter: Quick Makes by Amanda Russell and Juliet Bawden. Two new books full of beautiful modern makes and a chance for you to win them both! The books present ways to use those fat quarters of fabric we have in our stash to create something useful, practical and pretty. 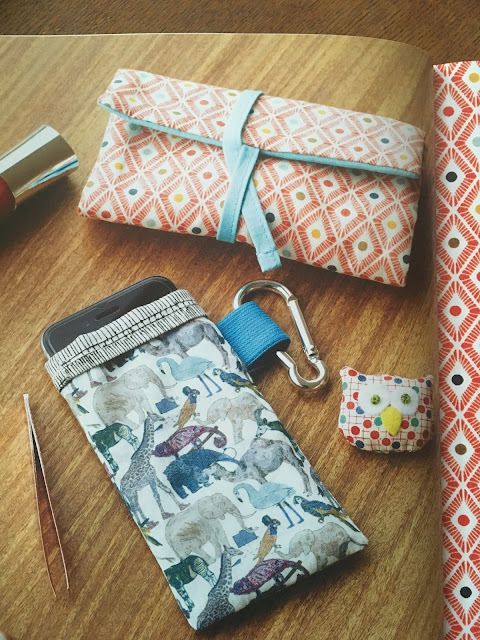 All the makes are suitable for beginners and cover a range of sewing techniques, with clear instructions. Each project has a step by step guide with corresponding photographs, which clearly demonstrate every direction, and there are plenty of tips and tricks peppered throughout. They are, as you would expect, reasonably simple makes and patterns, which is just what you want when you need a gift or a satisfying quick make between bigger projects! 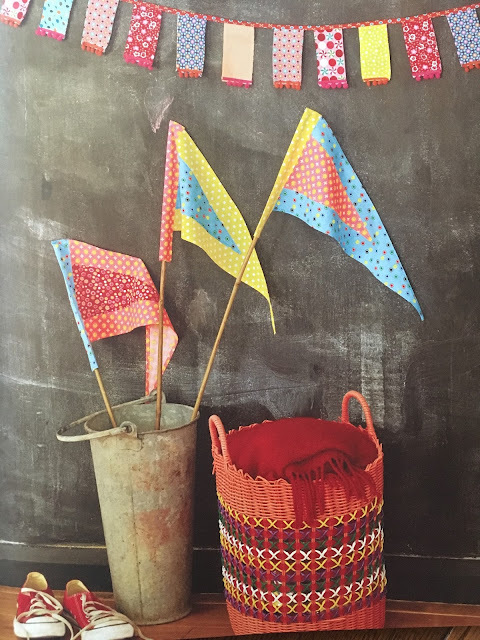 The photographs are beautifully styled and inspiring. Amanda and Juliet chose lovely fabric combinations and it's worth looking at the way they use prints and colours because it works so well. GMC are kindly offering a copy of each book to one lucky winner! To enter the giveaway: please leave a comment below - if you're stuck for something to say you could tell me how many fat quarters of fabric you have. UK entries only please, a winner will be chosen by random.org and the winner will be announced here on 12th June. 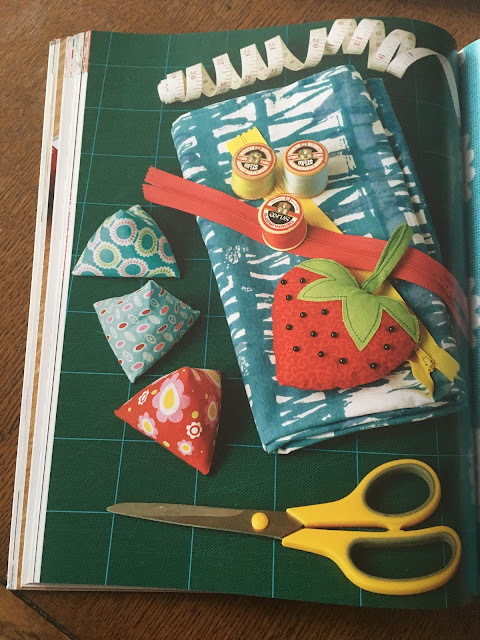 I'm always looking for inspiration on things I can make using fat quarters and small pieces of fabric left over from large projects, so these books would be put to good use. My husband thinks I'm nuts but I hang onto any offcuts "just in case" they turn out to be useful. I always get a sense of satisfaction when I manage to find just the perfect bit of fabric in my stash, which is kept in 2 large chests of drawers, organized by fabric type and colour. 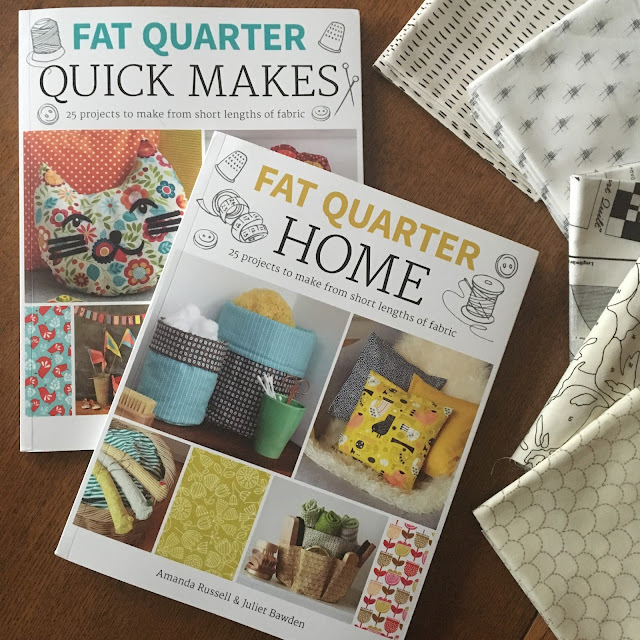 I have tons of fat quarters...I buy them when I like the fabric I buy a fat quarter! I have a suitcase full of fat quarters. They are so pretty, I have using them, if that makes sense!! I love to buy them, when I don't have a project in mind. It helps me have enough that I have fabrics that I love out of the lines I love. Enough FQ's in my stash to make at least two projects of each chapter of Fat Quarter Home. Thank you for sharing, I love your garland! I love buying fat quarters because I can get such a wide variety of fabric prints in a usable size. My fat quarter stash is rather large since they are the perfect size for the zip bags, pillows, mug rugs and baby items I enjoy creating. Lovely books, just the excuse I need to buy even more fat quarters! I have a cabinet full of fat quarters, mostly in bundles that I never seem to find to right project for! I have lots and lots of fat quarters and must start to use some soon. I just can't resist buying them and planning what I will sew. Lovely books that I am sure will inspire me. Let's just say I have one dresser drawer full thanks to the recent sales but I now need inspiration to use them up. I have a wonderful rainbow of colors to choose from. Thank you for the opportunity to win! I think I've only three or four fq s . Do you see my nose grow ? 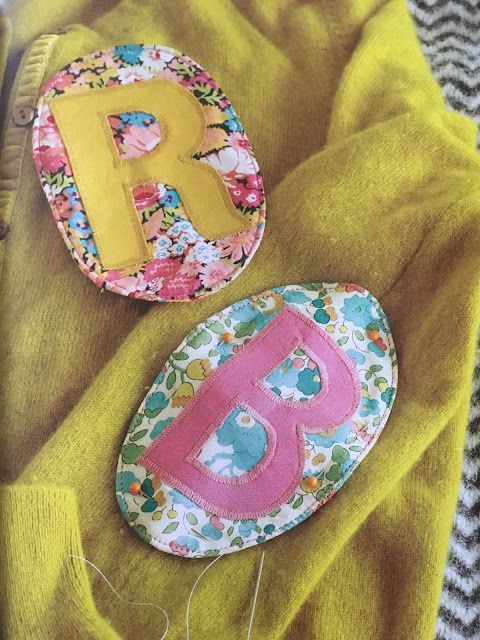 I love fat quarters, they are ideal for teaching my granddaughter to sew with simple quick achievable projects. I have 'far too many' fat quarters. I buy then because i love the fabric (at the time) but then, nothing matches and I dont know what to do with them. I usually buy FQ's so I have too many to count. It is challenging to find a use for them unless scrappy is your style. The books look like wonderful inspiration! 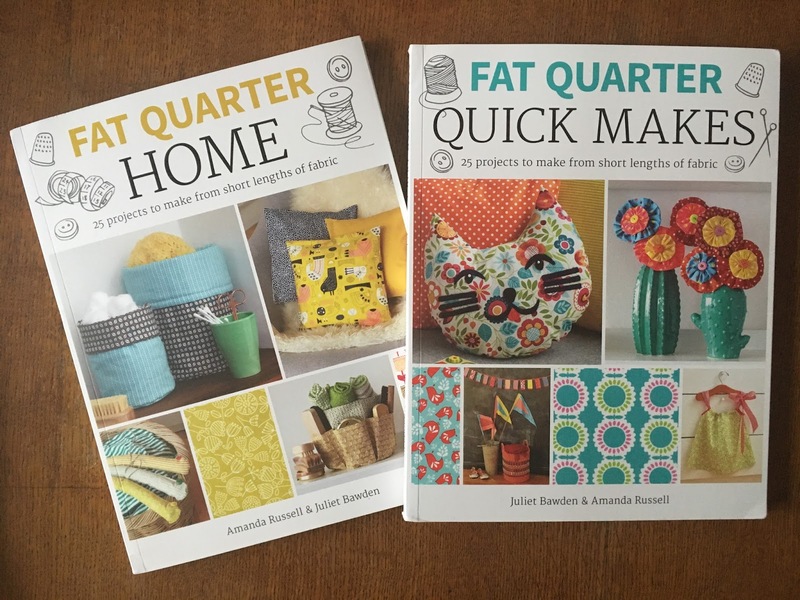 I only really buy fat quarter's and I'm running out of places I can put quilts so these lovely books would come in handy for something else to do with my ever growing stash! if I like a fabric but don't know what to make and how much to buy, I just get a fat quarter. I have tons now!! Need to get these books to inspire me to use my stash. I used to use FQs a lot but now lack inspiration in how to use them wisely. I have so many FQs it would be lovely to use them - some bundles are stunningly beautiful. So many fat quarters and so little time! This book would help me to reduce my ever growing stash. I don't have enough fat quarters (smile). I have more fat quarters than I care to admit. It will be great to have this resource so that I can get ideas for what to do with them. Love books and love watching you....so anything recommended by Lucy Brennan is a must have.